As a tax professional you understand how complex the tax code can be. The code is constantly changing through legislation, new regulations and private letter rulings. It is nearly impossible to know and understand every subtlety and small change. These changes, however, could be significant to your client. Starker Services, Inc. is unique because acting as a Qualified Intermediary in §1031 Exchanges is our only business. We constantly monitor changes that could affect your clients and their tax-deferred exchanges. Thank you for the excellent help with our recently completed 1031 Exchange. You handled it efficiently and correctly. Section 1031 of the tax code allows a Qualified Intermediary to perform a safe harbor tax- deferred exchange. As a tax professional, you know how important it is to comply precisely with IRS regulations -- a misstep means costly rework and lost time or even equity lost needlessly to taxes. You and your clients need an experienced Qualified Intermediary (QI) to provide the peace of mind available only with personal attention. By choosing Starker Services., Inc., you get the support you need just when you need it most. Our CPA firm has worked with Starker Services, Inc. for years and has always found that they are a very knowledgeable and diligent team. 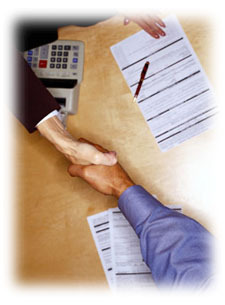 We use their services and expertise to evaluate potential transactions quite often. They are our first choice in the §1031 Exchange business! Starker Services, Inc. is the country’s oldest and most experienced independently owned Qualified Intermediary. We have worked with tens of thousands of investors and their counsel to successfully complete tax-deferred exchanges. In addition, we can provide you with supporting literature on every type of exchange, addressing not only complicated and difficult issues but common problems as well. Call us today at 800-332-1031 and speak to one of our experts. Find out just how easy a §1031 Exchange can be.